You can now easily enjoy your Live Photos with our automatic play feature instead of pressing the screen for such a long time! Is it too cumbersome for you to slide between each photo? 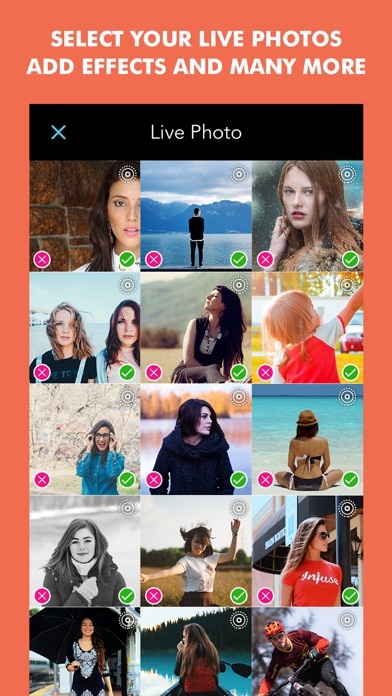 View all your Live Photos in a slide show! With Frame View, you can even view and extract individual frames which you couldn’t see in the original photo album. - Tons of Ghost effects,Making horror video to scare your friends. - Clone your own ghost in video's. - Apply filters&FX on yours videos. - Make illusion Video - Easily make the&video collage. 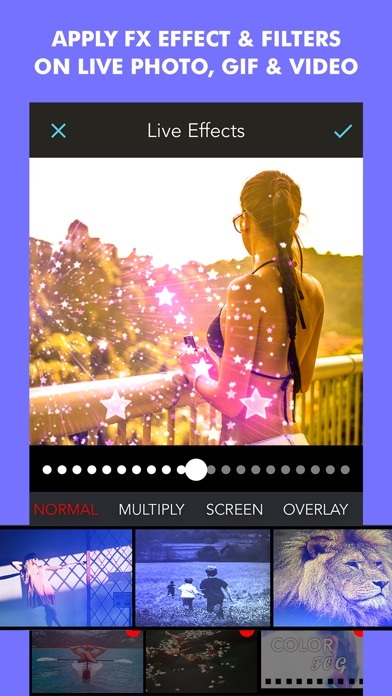 - Add background music to your masterpiece and adjust the volume of your video collage. Mute Your Videos! Adjusting the volume of video clips with 'Video Mute' is very easy. Just add your video to the app, adjust volume, and save the finished product. 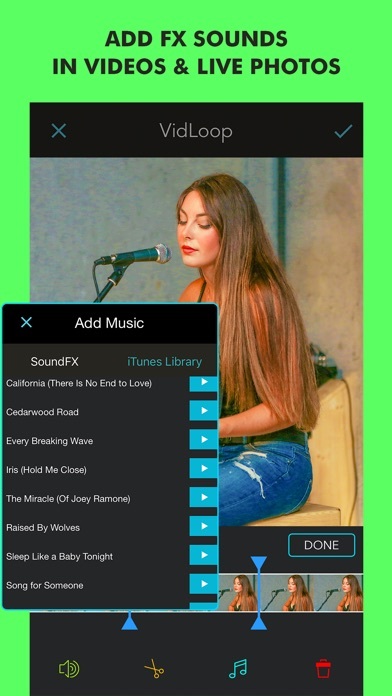 Music - Add your own music to video, like mp3 files and other format. - Easy to sync sound and video, with timeline features. - Volume control for both original video sound and mp3 songs. 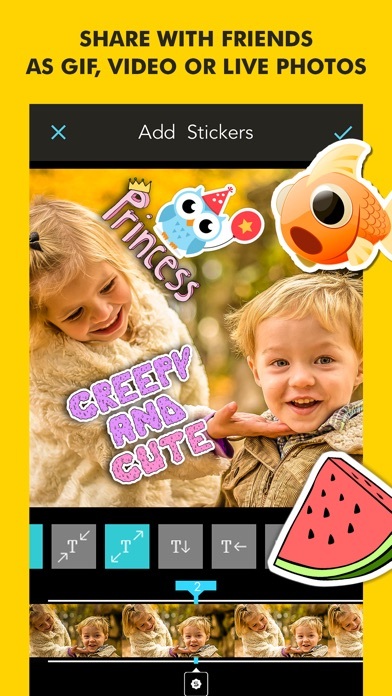 Video Mirror Effects •Create reflections in four different directions COLLAGE MODE • Video Collage is most exciting feature of the app Music - Add your own music to video . - Easy to sync sound and video, with timeline features. - Volume control for both original video sound and mp3 songs. 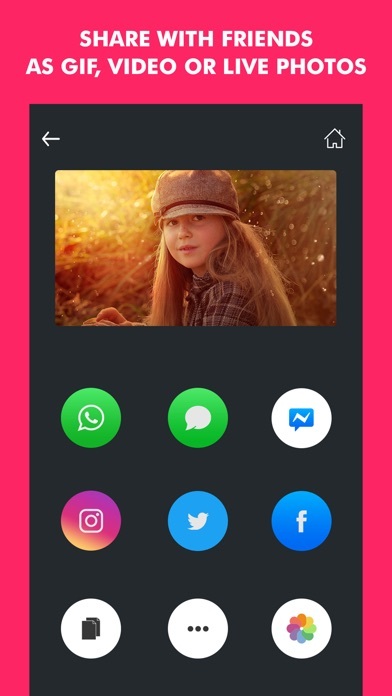 You can convert your lively Live Photos to video or GIF to share them straight to Facebook or Twitter, or with friends who do not have devices offering Live Photo option. You can trim the Live Photo and save to video or gif. You can make the speed of Live photo faster or play it backwards to make it even more fun. Please update the app it’s been over a year. Having problems with the music from iTunes loading , it won’t save and a tone of other things it just doesn’t work anymore. This app is the bomb never stop! The app so far is pretty cool. You can use gifs from previous apps on this. Which is always good.